is available in the Daz Store. 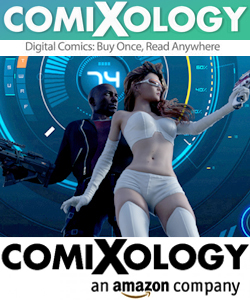 Have you ever considered using your Daz 3D assets to create a comic book? Have you wanted to turn your rendered pictures into a story? How do you do this and where do you begin? This foundation comic creation course is perfect if you are wondering of HOW to be most effective when dealing with lettering (speech bubbles), lighting your scenes within DAZ Studio, adding special effects and postwork to enhance your story panels and creating effective comic book covers. The comic foundational course continues with Post Work and Special Effects. We’ll explore the four types of post-render tasks and a multitude of systems and techniques to enhance your artwork. Everything from the subtle to the sublime will be covered in great detail. As always, we’ll cover your best options from the Daz Store and explore what’s available, across all the platforms, and many free options. Drew Spence will add a conceptual approach so that the lessons from today will remain relevant for years to come. Fixes for repair and the many ways to save a “bad” render. Find fine details in the Frame. Drew Spence and Digital Art Live present the fourth and final segment of the Comic Book Foundation course. A picture says a thousand words as we look at the usage of text in our work and break down the first impression, which is our cover art. We will discover why words are more than words and how your character-driven dialogue becomes the greatest vehicle to the gaining long-term interest from your readership. Word balloons and encasing text. 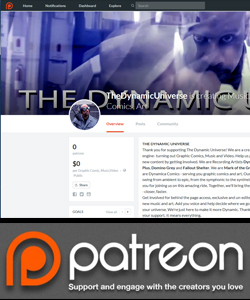 The Comic Book Foundation course is commissioned by Digital Art Live and created by Drew Spence from the Dynamic Universe. Drew Spence is a graphic comic writer and illustrator from the United States. He creates under the title of The Dynamic Universe. He has combined his music and video into several works- including Mark of the Griffin, which is both a graphic novel and web series. 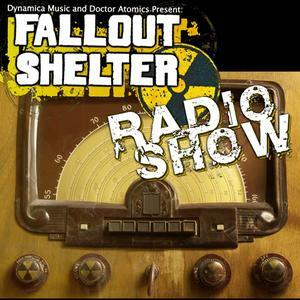 He is part of the instrumental group Fallout Shelter which provides the soundtrack. The other band members are Domino Grey, Dynamics Plus and Xodus Phoenix. Drew Spence is a graduate of Stony Brook University with a Bachelor of Arts degree in Fine Art and holds various certificates from graphic arts to web design. Drew Spence was the CEO and Editor-in-chief of Producer’s Edge magazine, a quarterly publication dedicated to all aspects of music production. 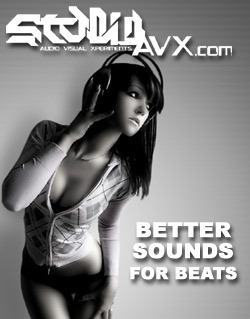 The magazine was packaged with a DVD which included sound samples, instructional videos, and software. He currently lives on Long Island, New York and produces his work from the aptly named Fallout Shelter Studios, where he crafts crafty and clever comics using CGI and photorealistic image manipulation. Scene Optimizer Not Included in this Product. Available in the Daz Store. You start with The Professional Comic Book Foundation Course! 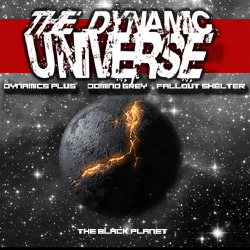 It’s a tutorial presented by digital comic publisher Drew Spence from The Dynamic Universe. The Griffin Avid takes his knowledge, gained from his formal education and the experience of creating one of the most popular CGI comics, and distills it into these tutorials. These step by step materials will prepare you for planning your comic book story, managing your scripts, panels, pages and utilizing DAZ Studio and Photoshop in the workflow. We’ll cover the first steps in creating your series and polish your work to a releasable level of quality. It’s a step-by-step exploration of the comic creation process and will place you in a position to tell your story with the look and feel you desire. 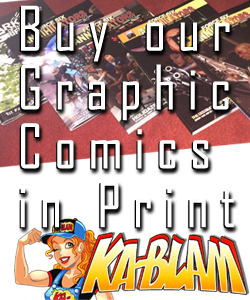 –Getting your art to seem hand-drawn or look like a traditional comic book. We’ll explore over a dozen ways to turn your wonderful render into a comic panel and expand the Daz look into your own custom style. Options will include achieving a comic look before and after the render. That’s right! We can do it in post and let the Daz Studio work for you the way it always has. –Creating your overall story, structure and workflow. It’s the nuts and bolts of how to turn an idea into an actual system you can follow. –Discovering your genre and the Daz assets that will be needed. Focus your purchases into what you will need to create your story and take advantage of free items and methods to reduce your costs. Discover utility items that will help save time and expense. –Researching your purchases and products. You’ll learn to discern and dig deeper into the Daz asset. Uncover your hidden resources and stay one step ahead. As a bonus, you’ll also get a practice assignment to prepare you for part II. What are you waiting for? Join us and dive in today. Now that part I has you off to a graphic start, Part II will explore the simple, but the powerful relationship between the panel, the page, and your script. We’ll deconstruct the narrative and study framing your renders and turn your camera shots into a live action version of your script. Then, we push your script to be more than just words of dialogue. –Using the Daz camera to craft your panels. Learn to work like a film director and approach your render as a larger set of pictures. We cover and help you create the basic technique for preparing your comic book pages in Daz Studio. –Camera Shots and special techniques. We put Depth of Field and Perspective to great effect as we start creating a sense of drama, focus and action – right inside the render! The course includes both pre-render and post work ideas. You’ll have a still-frame guide and a live demonstration, so you’ll absorb the lesson in the way you learn best! –How to make pages and place your panels. We’ll study the direction of the eye across your page and learn to control the interest of your readers. By the end, you’ll have a lock on the different types of pages and understand the key principles that turn pictures into sequential art. –Writing the Script and words to wow the world. After tackling the writing task, we cover the ways to turn your script into more than a list of dialogue points. Learn about creating your Master Guide and create a living document that grows with you as a storyteller and illustrator. The course will help to avoid common pitfalls as you acquire new skills. –Become the Editor and Art Director. We discuss two more jobs that you will need to perform – to bring your work to its highest level. Unlock your potential and think in macro terms about your workflow. –Bring your vision to life. Take the reins and render the relationship between your characters. We break down advanced dynamic theories into simple ideas and create a path for readers to adopt your characters and have an emotional investment in your comic. We present all of this and more. 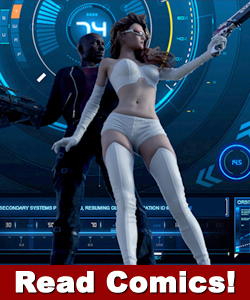 This course was designed from top to bottom to give, the Daz Studio user and 3D enthusiast, a simple and clear path to creating comics, graphic novels, and illustrations. Thank you for taking the first step in producing sequential art!